Just an update. I rarely blog anymore, and Tika primarily blogs on her multiply site. Bagaimana saya memperoleh inspirasi dari Kartini dan STA. manis, tapi kepunyaan Tuti yang rasional dan ingin mencapai sesuatu." This post is a review about Michael Crichton's Book "Next", including some of my thoughts on the whole deal with patents and intelectual property rights in Indonesia. I think this book is just good fun and more. It's totally hollywood-ish but combined with some "serious issues" that actually made me think, yes really! It deals with intellectual property rights in the pharmaceutical and biotech industry. One plot line was about how a guy's cells were patented by this small biotech company that is actually on the verge of going bankrupt. Problem was, as more people realized how "valuable" this guy's cells are--in monetary terms--a lot of dirty fighting started to go on. The cells were finally stolen somehow by an unknown--yet obviously powerful entity (this involved a graduate biology student like me being horribly murdered in an elevator while going to one of those biotech conventions...). As a result, the company needed to isolate more of these cells from the source, while aiming to further prevent other people from getting their hands on the cells. So they started to harass the guy running around with these valuable cells in his body -- telling the guy to give them up as legally, the cells in his body are not his anymore! As the guy's life was increasingly being threatened, he decided to run away and went off radar. The biotech company started to look for other ways to get their hands on these "valuable" cells. They started to hone in on the guy's family, who theoretically would genetically have the same cells as his. So the company got themselves some sleazy lawyer to make a case that the cells of these family members were theirs too, using the patent they have on the original guy's cells and expanding it to rigidly include any decendent of the guy's cells. First they started to harass the guy's grown-up daughter, but as she was too tough, they started to chase the small grandson of this guy in a very James Bondish/James Bourne-ish way, trying to kidnap him from school and sedate him to get his cells. Real tense moments for me there! This plot line is so out there, which is why I think it was just so fun to read but still managed to get the point across, albeit in a very exaggerated hollywodish fashion. Intertwined with this were other plots about a talking orang utan from Indonesia, a parrot who could think for himself, a crazy environmentalist, a child molester, a filthy tycoon CEO of giant biotech company who is running for some political office, and last but not least, a greedy scientist who likes to take advantage of newly graduated biology PhD students in his lab to work for him, but in the end would try to take the work as his! (this last plot is the one I like best and hits most close to my own potential predicament if I end up working in a lab run by such types of sleazeballs). There are other juicy plots, but I've forgotten most of them as I read the book over a year ago. Anyway, somehow all these plots came together in the end to create a bang! I will give no spoiler, but I can tell you it is just great hollywood combined with great greek drama. So what does Crichton think about the great intellectual property debate in the Biotech Industry of America? Obviously, he thinks the laws out there are just crappy. Patent laws as they stand now are open to being misused, giving the most benefit to greed than to true benefits for the people. Most patents are even doing the opposite of what it is meant to do: instead of promoting creativity and innovation, it is actually stifling it by making sure that somethings are not allowed to be made into real innovations. For example, the guy's cells, as they are already patented by a company, who can think of nothing but getting money without much regard of doing any further innovation out of them, is no longer open to be used for further research by other scientists to make better medicine. What's more, it ends up being "pawned" by people who have no other intention but to make money. Crichton thinks, this is happening not because a lot of people are just inherently greedy, most are not. They become greedy because the patent system available now force a lot of people to "act greedy" in order to just survive. For example, the biotech company who is trying to kidnap this kid with the cells is just some nameless small biotech firm that is running out of money as it can't really compete due to the corrupt patent laws that are around, biased towards giant biotech firms with strong links to a handful of corrupt individuals in powerful places. So it ends up taking drastic measures just to "stay alive". Biotech patents take about 20 years to expire in the US (at least), so even if innovation is feasible, it might just end up being put in a box because such rigid patent laws are making it hard for scientists to work on things that are already under some patent. But Crichton is hopeful in the end -- metaphorically -- by actually "shooting down" one of it's greatest evil doer -- yeah! Crichton believes that only by making the patent laws better, such that it is to the benefit of those who can make the best innovation and the best good for the people, will we be able to get some real breakthroughs from the biotechnology industry. This comes through patents that foster original creativity and innovation for the good of most people, not just letting patents be given for things that are already out there without requiring much thinking (ie. genes, cells). Only by emphasizing creativity and innovation as criteria for patents, such as letting patents only for the process and methodology of this innovation instead of the materials being used for the methods (ie. the cells), will patents be able to function properly for the progress of the industry. This book review comes in a time when patenting and intellectual property rights issues seem to be surfacing up in the Indonesian scene (as I am writing this, it is Mid-December 2007). This is interesting to me as I know patents in Indonesia don't even really work since stealing amongst Indonesians is just an "accepted" thing. But Indonesians like to make a big deal out of other people -- meaning people of other nations -- violating "Indonesian's rights", with Indonesia acting as "victim" to the whole deal. We don't care so much if some Indonesian is acting as culprit to victimize other Indonesians (ie. we only have some care about those people "disappearing" during reformation movement or during the orde baru regime, about people found suddenly dead in airplanes, about indonesian-malaysian descendants of migrants whose parents are now considered country-less, about people dying of bird flu etc.). Indonesia surely will have it worse if we don't think through this with a clean head, as we are far behind from the whole world on everything. What we are going about with things such as the cultural wars, the bird flu strains is not doing Indonesia any good. Indonesia fails to think deep into the impact of such claims. Most are blinded by misplaced patriotic ideals. For instance, the Health Prime Minister was heard to say that she is not allowing anyone (other than Indonesians) a hand on the so called "Indonesian" flu strain. She is trying to patent this "freely living" flu virus to be rightfully owned by Indonesian people, since they come from Indonesian people who die from it, in Indonesia. She hopes that by moving in this direction, she will help the people of Indonesia from being "cheated" by the whole process. A lot of scientists in Indonesia agree on this patriotic premise. We like to pat each others back when one of us go and spearhead a campaign to support such rigid patent laws at the international level -- suggesting some to metaphorically carry a "sharp bamboo stick (bambu runcing)" while going about it. What she does not realize is that by spearheading such acts, we are playing into the very greed we are trying to avoid so desperately. The small biotech company in the end of Crichton's novel went bankrupt. Indonesia has much less power than this metaphor given in Crichton's novel, we can only imagine what worse fate we might find ourselves into. Indonesia hate foreigners, so much so that we do anything necessary to support such ideals, even if it might end up to our own detriment. 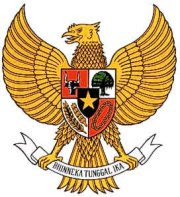 This patriotism comes in priority over the rate of deaths resulting from the bird flu in Indonesia: we are the highest nation in the world now with people dying from the disease. We think by placing our patriotism on this virus, it will make most Indonesian people happy, and actually stop the deaths? In a simple world, maybe so, but we do not live in such simplicity. According to Crichton, what bad that is going on now in the biotech industry is not because there are a lot of greedy people out there that are out trying to get you. It is a system of misplaced laws that are not optimally thought through, resulting in most people in the end having to act in a greedy way. Supporting patent laws to people that have no real input to true innovation will just lead to more people taking in false claims, creating extreme barriers to those people who can really make true innovations, in the end delaying, if not totally preventing, the progress of innovation that are supposed to be supported by such patent laws. All this happening while people might actually still be dying from such lack of progress. I don't believe that there should be patents for things such as viruses and genes, just because they surface in some national geographic boundary. Each Indonesian, as "individuals", will have to do more to get their name on the virus they isolated from a dead Indonesian person. But surely, just "letting go" of the virus will not help as we know how faulty current international patent laws are now, but holding some virus as hostage will not help to make the laws more friendlier to Indonesians and the progress of science in Indonesia. What Indonesians need to do is to help spearhead the idea of true innovation at the international scene, of open source access for people with the highest motivation and skills for creativity and progress to the benefit of most people. We must go pass our xenophobic ideals and spearhead true patriotism that fosters creativity and innovation in Indonesia. This means challenging Indonesian scientists to act in a competitive way both at the local and international level and support laws at the international level that foster true innovations. At a general level, it will do no good for any Indonesians to think that people are out there to get us. The Indonesian Health Minister was heard to say that the flu virus is actually American made and purposely distributed "to kill people" in poor countries just for the sake of their own greed (this is an interesting claim as if this is true, this will totally negate Indonesia's claim to it's patent, being it really -- American made!). Though most Indonesian biotech scientists don't agree with this conspiracy theory claim, they accept it as some "harmless" fault of the Minister's that can be "overlooked". In addition, perpetuating the idea that things which require little innovation is patentable is totally detrimental to our progress. Saying that a folk song -- that no Indonesian living today have any real input to it's creation -- other than the still questionable origin of the long dead composer as being ancestral to us -- can be patentable, does no good to Indonesia's perception of true creativity and innovation. We must look further for progress, further than just what our lands have "naturally" offered us, further than just what our great ancestors have left for us to learn from. Indonesians feel very good and proud about the riches our land have planted for us to survive on -- the heritage our ancestors have left for us, without much thinking into what true innovation we can make out of them to actually create something as truly our own. All this due to some misplaced patriotism on our part -- long overdue to be thought over and changed for the better. I am a very patriotic Indonesian. When I was little, I practiced marching up and down those steps leading to flagpole minutes after August 17th flag raising ceremonies ended at our little Indonesian Embassy, as all the 'adults' came inside to feast on the day's prepared meals. I joined the PASKIBRA team during highschool when I was actually physically in Indonesia, having to endure many tortures prior to being initated into the group. I memorized all that history about why/how/who of our red and white flag, those UUD '45 pasal-s, all those natioanlistic songs. I knew how to march using the bamboo while only being let to eat a bite of 'singkong' all day long and constant fear of being dipped in mud or sewage water. I relinquished trips to malls during weekends just to get that march down. I knew how to march in straight line and turn in an actual group, with my eyes closed! Yep, I knew how to march. So I am very patriotic, perhaps because I grew up in very secluded part of Indonesia where they only speak of good things about being Indonesian, a.k.a. the Indonesian diplomatic corps -- I didn't really have anything bad to say about being Indonesian. Even now, whenever I pick up three year old in New York City pre-school, I listen to this very patriotic Indonesian song, when no one else around me probably don't even know we as a people exist. So I dare anyone else who can be more patriotic than I am. I love Indonesia. But I must say that I am very disappointed in Indonesians nowadays. We keep on picking at the wrong fights that seem to getting us nowhere. We just like to walk on the same spot I think. For instance, why do we pick on what Malaysians should and should not put as part of their tourism propaganda? Is this all what Indonesia is all about? I confess that there are more stuff I can grieve about, but let's just stick to this as one of the most popular thing going on right now. I remember the time when I would introduce myself as Indonesian and people think that it is some remote area in Bali. I don't blame them. Back then, as the Indonesian diplomatic corps, we are made to tell people about the nice food we have to eat there, those traditional dances, those costumes that we don't really wear anymore except during marriages and such, but we say this is our Indonesia. Oh but some of the food we do eat in real life. But after the Tsunami, we are really popular as being a tragedy ridden nation filled with poor defenseless people, perhaps a smiling terrorist or two. So now we like to get back to being thought of as that remote part of Bali, or at least a Bali-like place, as it is after all a 'better image' of Indonesia? Our Indonesia is much more than this to me. Much more that those dances I never learned to do, those elaborate costumes I never get to wear, those flavorful dishes. It is about a people who fought to become a free and proud country -- with their blood. So I don't worry so much about what Malyasian's put in their tourism propaganda since I know Indonesia is much more than these superficial assets we call 'ours'. It is something that can never be taken away by anyone, no matter how many rendang's end up on a Malaysian Restaurant menu. It is what our forefather's have fought for us, the pride and the freedoms they gave us through their sacrifice. Something very much worth the fight. It is up to us to continue this struggle. My father was Consulate General of Kota Kinabalu when the great TKI tragedy was developing in Malaysia. I remember I was able to go and have peaceful day and get my passport renewed in the Embassy there, while tons of Indonesians, men women children came pouring in looking for shelter, not much peaceful on their front. There are plenty of horror stories to go around. My dad got angry one time an 'Indonesian embasy staff' refused help to a man who was obviously hurt and beaten, as there was no room to take him in at the embassy. My father straightenedd that 'staff' out. So yes, there are plenty problems that we must try to sift through when it comes to our 'relations' with our closest neighbour. But we must be wise enough to pick fights that are worth our while. *** additional replies to this post here. More opinions here and here. Indonesia is a very rich nation, but somehow, we can't seem to enjoy it much because lots of very greedy outsiders always try to steal stuff from us all the time. In the end we are left with nothing. Even our own leaders like to play into the hands of these greedy outsiders so as to benefit their own self-interest. So the cycle perpetuates, making us even poorer as time goes by. So though in fact we are a rich nation, we 'look poor' because circumstances 'beyond our control' made us that way. In the biological research community, we always get paranoid when some western research scientist tries to come in and 'study' a so called Indonesian specimen. We always think that this 'specimen' belong to us and only we have the right to study it, they are just violators of the rights of all Indonesians! This stems from the attitude that we think we are rich, that we own something that we have yet to get something out of, which I think is a very unproductive way of thinking. Though it makes sense that Indonesians should be real paranoid people (as we have been slave to a huge capitalistic enterprise for hundreds of years), I don't believe that perpetuating the idea that Indonesia is 'actually a rich country' is productive at all. Certainly this 'rhetoric' has been out there for a long time, but I haven't experienced any real 'progress' coming out from it. In fact, I see this as something that is actually making a negative impact on the attitude of many Indonesians, so much so that many end up just giving up and just act negative about everything. I think this happens because such an idea perpetuates the feeling that things are really out of control and no one can do anything about it. At least, when I think this way, it just spoils my day! Of course there are people out there to get us, and a lot of Indonesian leaders are really corrupt, evil and greedy, making us all really miserable. And things are really out of control. Most Indonesians know this as they are bombarded by this kind of stuff everyday. This is Indonesia's reality. But I say we should just try to swallow in this perpetual attitude of self pity and try to do some real practical work. First of, we should not keep on saying that we are 'actually' rich people with a giant conspiracy hanging over our head. Sure there is a giant conspiracy, but you can't really do anything much by just agonizing about it all the time. I think one way to try to forget about our miserable fate is to forget about how 'actually rich' we are and face the fact that in practicality, we are really very poor people. We are poor, not just because we can't really feed ourselves, but also because most of the time we can't harness the resources around us to make us be able to find ways to feed ourselves. So having a freely swimming fish in our waters doesn't make us rich if we can't catch it! It is out there for anyone to take, really, even if there is some political geographic boundary of state ownership, in the real world, the fish is out there for anyone to take. If some greedy outsider or corrupt leader catches it before one of us do, then that is just tough! We are poor people because most of us cannot find ways to catch the fish first and make something out of it. It is not enough to have the fish swimming in our waters. We shouldn't then try to weasel our way out of this predicament by saying that it is some evil doer fault that is beyond our control, some nasty government body, some evil outsider fault. Sure they have something to do with this, perhaps everything to do with this, but we shouldn't let them spoil our day. So my suggestion is, one practical way of making some moves out of our miserable 'fate' is to not think that we are actually rich, but think that we are really very poor people. We don't really have goldmines out there that is just waiting for us to 'take'. The fish will never be ours if we just let it swim and complain anytime someone else catches it. It was never ours to begin with! We are not rich people, we are definitely poor. By thinking that we are poor, maybe it will help us get going and actually make us do things beyond our own expectations to physically 'go grab that fish'. As we do this, perhaps someday, we can be actual rich people in the flesh, not just imaginary bodies of rich people who physically look poor. So I guess what I am saying is that being paranoid is ok, in fact necessary, but the way we have been going about it has not been helpful at all. At least for me, thinking in the back of my mind that there are vast Indonesian riches out there just waiting for me to just turn into gold, yet some evil body is just standing in the way of my getting at it, has not helped me to do anything but whine. We need to channel our paranoia into more productive and practical means. So go grab that fish! 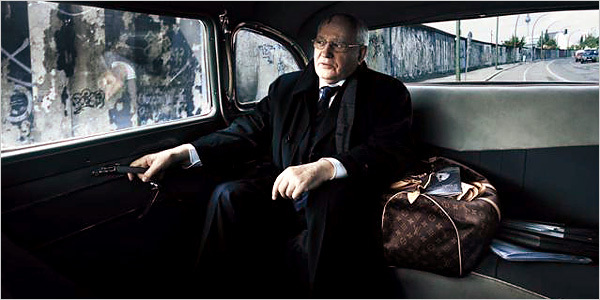 Gambar di atas diambil dari iklan Louis Vuitton. Bayangkan, bekas sekretaris jenderal Partai Komunis Uni Soviet sekarang berjualan tas! Siapa lagi yang mau melawan kapitalisme? Ketika anda sedang antri dan tiba-tiba seseorang menyerobot masuk antrian hingga mendahului anda, apa yang anda lakukan? Apa pendapat anda mengenai sang 'penyerobot'? Bagi mereka yang terbiasa dengan budaya antri, mungkin mereka akan berpikir bahwa sang penyerobot memiliki etika kuno dan tabiat tidak santun yang sebaiknya diperbaiki dengan kesadarannya untuk antri. Tentu asumsi dasar disni adalah antri sebagai norma umum budaya Indonesia, atau antri sebagai norma universal umat manusia: apa benar? Menurut 'ilmuwan antri' Richard Larson dari Massachusetts Institute of Technology, antri adalah suatu teknologi yang terbentuk seiring dengan terbatasnya sumber daya alam manusia. Larson tercengang saat melihat bagaimana para korban Tsunami bersedia menunggu hingga 6 jam lamanya, tanpa rusuh, untuk mendapatkan satu botol air minum dengan tidak antri. Teknologi yang digunakan disini adalah suatu sistem pelayanan acak dimana sifat pelayanan tidak berdasarkan suatu urutan tertentu. Kasarnya: siapa yang terlayani, ia yang dapat. Contoh kasus para korban Tsunami menunjukkan bahwa teknologi antri bukan sesuatu yang 'universal'. Konteks sosial budaya masyarakat memegang peran penting dalam perkembangan teknologi manusia. Dalam kasus korban Tsunami di Indonesia, sistem pelayanan acak cukup efisien dan fungsional dalam memproses alokasi sumber daya yang terbatas. Para korban Tsunami tidak harus antri untuk mendapatkan air minum secara damai dan tenang. Sebaliknya di Amerika, tercatat berbagai kasus agresifitas terjadi antar warga Amerika yang sedang antri. Larson menyebutkan satu kasus dimana seorang ibu menggunakan pisau untuk mencabik putus hidung seorang pelanggar baris antrian. Baik sang ibu mapun sang penyerobot akhirnya tidak juga berhasil mendapatkan apa yang mereka 'antrikan'. Sedikitnya 3 tahun umur hidup seorang warga Amerika biasa dihabiskan untuk antri. Kurangnya efisiensi sistem antri tentu sangat berkontribusi dalam memperpanjang waktu barisan antrian. Teknologi antri perlu selalu dimodifikasi seiring dengan perubahan konteks budaya dan kompleksitas kehidupan sosial di Amerika. Tentu, mereka yang terbiasa dengan budaya antri akan sangat sulit untuk menerima sistem pelayanan acak ala Indonesia. Mungkin dengan memposisikan antri sebagai suatu teknologi non-universal yang tergantung kepada suatu konteks budaya sosial, suatu saat nanti, kita semua bisa mendapati pengalaman antri yang lebih menyenangkan! Isi blognya adalah berita, ide, opini dan penelitian yang berhubungan dengan social networks a.k.a jejaring sosial. Setelah lebih dari satu bulan berada di Indonesia, saya sudah mulai beradaptasi dan merasa nyaman tinggal di Bandung. Salah satu kegiatan yang saya nikmati adalah menonton TV lokal, dan membaca koran dan majalah. Menurut survei, sekitar 70% penduduk Indonesia menonton TV paling sedikit sekali setiap minggu. Jadi dengan banyak menonton TV lokal, sedikit banyak bisa mendapat gambaran kehidupan di Indonesia (meskipun tayangan TV didominasi kehidupan Jakarta, bukan Indonesia secara kesuluruhan). Ada satu observasi menarik mengenai cara berpikir yang umum saya temui: perilaku negatif dari manusia dianggap berasal dari sebuah kategori. Misalnya, malas, tidak mengantri, suka gratisan, tidak jujur dianggap karakteristik "Bangsa Indonesia". Seksualitas dianggap sebagai "Budaya Barat" (tidak penting ketika baju kebaya tradisional menerawang dan cerita tradisional yang penuh seksualitas). Yang saya permasalahkan disini adalah bukan benar tidaknya suatu karakterisasi. Tapi karakterisasi melalui kategori kolektif. Individu dianggap tidak penting. Wajar jika orang miskin mencuri, wajar jika orang Indonesia tidak mau mengantri, wajar jika orang Indonesia malas dan sebagainya. Individu hilang ditelan label atau kategori kolektif ("Bangsa Indonesia", "Budaya Indonesia", "Orang Jawa", "Orang Sunda"). Sebetulnya kategorisasi kolektif ini umum terjadi termasuk di Amerika; contoh paling nyata antipati pada setiap berjanggut dan memakai sorban di Amerika. Disini ada perbedaan antara persepsi kita tentang perilaku orang. Kita sering menganggap perilaku orang disebabkan oleh kategori kolektif. Padahal ketika kita bertindak jarang dimotivasi oleh satu ide abstrak yang berasal dari kategori kolektif. Misal, karena saya orang Indonesia maka saya tak harus mengantri. Saya percaya orang cenderung pragmatis, mengambil keputusan berdasar situasi dan preferensi saat itu. Saya mengantri agar fair dan mengurangi kemungkinan konflik saat itu. Yang berbuat baik atau buruk adalah individu, bukan kategori kolektif. Individu adalah agen kausalitas: individu yang menyebabkan sesuatu terjadi. Titik berat pada individu ini bertentangan dengan semangat riset saya sendiri yang cenderung menafikan peran individu daripada struktur. Individu tidak bisa berbuat sekehendak hatinya, tetapi dibatasi oleh relasi yang ada antara dia dengan orang lain dan lingkungannya. Meskipun struktur ini sering pula memberikan peluang baru untuk bertindak, bukan hanya membatasi. Dalam bahasa akademis, ilmu yang cocok untuk di Indonesia adalah ekonomi karena ia mementingkan individu; bukan sosiologi yang mementingkan struktur. Ini jika kita ingin melakukan perubahan (saya percaya bahwa kita berusaha ke kanan jika kita cenderung ke kiri dan sebaliknya; agar kita tetap di tengah). Di Amerika saya sangat kritis terhadap ilmu ekonomi yang berlebihan menggunakan konsep insentif. Segalanya dijelaskan dengan insentif sehingga konsep insentif menjadi tautologi: terjadi karena ada insentif, dan ada insentif karena terjadi. Di Indonesia saya cenderung menggunakan pola pikir ekonomi: individu lah yang bergerak merespons insentif. Saya jadi ingat teman saya yang menyelesaikan doktor di bidang studi sains. Ia adalah pengkritik sains. Tapi ketika di Indonesia ia menjadi advokat sains karena di Indonesia sains tidak relevan dalam proses pengambilan keputusan. Jadi dia harus membangun sains dulu agar dia bisa melakukan pekerjaannya mengkritik sains setelah itu. Mirip dengan saya, di Indonesia saya ingin para ekonom lebih menyebarluaskan konsep kebebasan individu. Setelah konsep itu diterima luas, maka baru saya bisa masuk memperlihatkan bahwa individu itu tidak terlalu bebas (tentu konstrain adalah konsep fundamental di ekonomi, tapi ekonom cenderung menganggapnya sebagai kotak hitam; dan tentu ada juga ekonom yang membongkar kotak itu meskipun kebanyakan lebih suka membiarkannya). Tantangannya adalah, bagaimana menunjukkan bahwa individu tidak terlalu penting kepada masyarakat yang memang sudah percaya bahwa individu tak penting tanpa menjadi membosankan sehingga tidak selalu ditanggapi "oh itu sih udah jelas". Konon suatu malam di New York City, saya terbangun dan menyalakan TV stasiun MTV. Ya memang saya sudah tua dan semestinya merubahkan saluran ke stasiun musik para jompo di Amrik bernama VH1. Salah saya sendiri. Saat itu ditayangkan acara bernama "Yo Momma". Remaja daerah kumuh New York City di kumpulkan berdasarkan "suku daerah" untuk bertarung satu sama lainnya demi membela harkat dan martabat sang "momma" alias ibu. Memang bagi para remaja ini, ibu adalah simbol dari segalanya. Wakil 1: "yo momma's so fat, people jog around her for excercise (Ibu mu gemuk sekali, akibatnya orang suka berolah-raga lari mengelilinginya )". wakil 2: "yo momma's so greasy Texaco buys oil from her (Ibumu berminyak sekali, Texaco saja beli oli darinya). wakil 1: "yo yo .. your house is so run down, only the paint is keeping it up (rumahmu buruk sekali, tanpa ada cat tebal itu, pasti rumahmu akan runtuh). Usai acara, para lawan saling berpeluk dan menepuk punggung sebagai tanda rasa hormat kepada sesama anak momma. Konon suatu malam di Bandung, saya nyalakan TV ke stasiun MTV dan apa yang saya temukan? "Yo yo yo ..." dst dst. Waaa... bagaimana nasib cucu penerus bangsa Indonesia kita ini jika tutur bahasa MTVers digunakan sebagai contoh? Konon, MTV adalah stasiun favorit ponakan-ponakan ABG saya. Toby, bocah berumur 3 tahun kami, termasuk anak yang sangat sensitif terhadap perubahan di lingkungannya. Dia sering mengamuk ketika menemukan sedikit perubahan dalam lingkungannya yang tidak bisa ia kontrol atau antsipasi. Sebagai contoh, jika ada yang menyapanya di jalan, Toby langsung menolak mukanya dan cemberut. Jika sapaan terus berlanjut, Toby akan berteriak dan menangis. Menurut mama Toby, ini karena Toby merasa hilang kontrol juga karena ia tidak mengantisipasikan gerak-gerik si penyapa. Amukan ini tambah parah ketika Toby mulai bergaul dengan orang banyak dalam jarak dekat. Sebelum Toby pindah ke Bandung , Toby lebih sering diam sendiri di rumah bermain bersama mama. Saat di New York City, Toby hanya sesekali pergi bersama mama keluar, seperti pergi berbelanja atau main di taman dll. Ketika Toby harus secara intesif bergaul dengan sanak saudara di Bandung, Toby tidak saja berteriak atau menangis ketika disapa, bahkan saat ini Toby mulai suka memukul! Kontrol dan ego memang masalah terbesar bocah berumur 1-5 tahun. Untuk mengatasinya, kita berusaha untuk menjelaskan ke Toby bahwa orang yang menyapa itu sedang berusaha berlaku baik terhadap Toby. Jika Toby memukul, kita berusaha menegornya dengan nada tegas untuk "jangan memukul" karena "memukul itu tidak baik". Ternyata setelah beberapa minggu melakukan terapi ini (memang Toby baru memperlihatkan amuk pukulan seperti ini saat kita mulai pindah ke Bandung beberapa minggu yang lalu), amuk Toby tidak saja mereda, bahkan tambah parah. Ya memang saya pernah membaca bahwa kaum bocah seumur Toby belum bisa memproses informasi berdasarkan logika "jangan karena itu tidak sopan dan membuat orang lain sakit". Ini karena ego bocah umur Toby masih dalam proses dasar penyesuaian dengan lingkungan. Tapi karena kita sering berusaha membuat Toby 'mengerti' dia pun sudah mulai menerima logika seperti ini. Sayangnya, sensitifitas Toby terlalu tinggi jika dihadapi lingkungan "asing" hingga Toby secara otomatis akan berteriak dan memukul orang yang membuatnya frustrasi. Kita pun mulai melakukan terapi "hukuman" jika Toby memukul, seperti dipaksa berhenti bermain dan dibawa ke kamar tidur. Terapi hukuman membawa masalah ke orang tua Toby terutama karena sanak saudara toby di Indonesia merasa hukuman terhadap bocah sebesar Toby tidak pantas. Menurut standar Indonesia, anak kecil seumur Toby baiknya diberi kebebasan untuk melakukan apa saja selain sesuatu yang mencelakakan nyawanya. Bocah seumur Toby belum bisa dianggap sebagai manusia yang bisa banyak mengerti. Masalahnya, standar ini tidak berlaku di Amerika, setidaknya di banyak sekolah-sekolah New York City. Jika Toby terlihat sering membuat banyak "onar" seperti memukul teman dan guru sekolah tidak bisa membuat Toby berhenti, sekolah akan tidak segan mengeluarkan Toby dari sekolah. Di Amerika, bocah harus di siapkan orang tua untuk bisa berlaku baik dan sopan. Perbedaan standar Indonesia Amerika ini membawa masalah ke orang tua Toby. Orang tua Toby harus memastikan bahwa Toby tidak akan dikeluarkan dari sekolah karena suka mengamuk dan memukul. Jika Toby dikeluarkan oleh sekolah, kemungkinan satu atau kedua orang tua toby harus putus sekolah hingga berakibat lebih banyak orang lain frustrasi pula! Jadi untuk saat ini, kita tetap melakukan sedikit hukuman ke Toby jika ia kelewat mengamuk dan memukul untuk mempersiapkan Toby mulai sekolah di New York City Hukuman ini berupa ungkapan "marahan" tegas untuk "tidak boleh memukul" dan Toby dibawa keluar dari situasi yang membuatnya frustrasi (seperti membawanya ke ruangan terpisah). Hukuman ini lebih sebagai cara untuk menenangkan Toby. Kita berusaha tetap bersama Toby saat hukuman dilaksanakan untuk menghindari kesan "ditinggalkan". Untuk amukan lain yang tidak melibatkan "Toby memukul", karena kita tidak bisa banyak kontrol situasi yang terdiri dari banyak orang lain, kita sepakati untuk berusaha membawa Toby ke ruangan bebas dari sumber yang membuatnya frustrasi tanpa di "marahi". Kita baru sadari bahwa usaha menjelaskan ke Toby untuk "tidak usah menangis dan mengamuk akibat sesuatu yang sepele" tidak membawa banyak manfaat. Bocah seumur Toby lebih memerlukan dukungan pengasuhnya, bahwa ia bisa mendapat bantuan dan belas kasih sayang pada saat frustrasi. Terapi terbaik memang untuk mencegah amukan terjadi. Sebagai contoh, mama Toby berusaha terus memberi informasi ke Toby mengenai antasipasi gerak-gerik teman-teman yang sedang bermain bersamanya. Dengan mendapatkan informasi ini, Toby terlihat bisa lebih tenang bermain dengan teman-temannya tanpa harus terganggu rasa frustrasi berlebih ketika teman melakukan sesuatu tidak sesuai dengan kemauan Toby! Ya semoga usaha kita ini bisa membuahkan hasil saat Toby harus balik ke New York City nanti! Untuk melalui waktu senggang di Bandung akhir-akhir ini, saya suka sekali menonton film dan TV. Ternyata bermanfaat banyak juga buat saya. Dengan menonton film hollywood terbaru "Spiderman III" di bioskop Blitzmegaplex Bandung, juga seri Hidayah di TV stasiun RCTI berjudul "Mertua Jahat Menantu Malang", saya dapati pemahaman baru mengenai perbedaan konsep baik vs. jahat ala Amerika (Spiderman III) vs Indonesia (Mertua Jahat Menantu Malang). Di Indonesia, manusia terbagi atas dua macam jenis, baik atau jahat, garisnya jelas. Orang jahat berlaku jahat karena dia jahat. Orang baik akan selalu berlaku baik karena dia baik. Orang baik bisa tergoda untuk berlaku jahat karena ada dorongan luar dari orang yang benar2 jahat. Orang jahat selalu sadar akan status kejahatannya tapi tidak mau berubah hingga akhirnya tertimpa musibah. Setelah musibah menimpa hanya ada dua kemungkinan yang dapat terjadi: si jahat mati atau si jahat sadar dan berubah menjadi baik. Di Amerika, manusia sama semua. Tiap manusia memiliki kemungkinan untuk berlaku baik atau jahat, garisnya tidak jelas. Dorongan untuk menjadi jahat atau baik berada dalam diri sendiri. Tiap orang bisa tergoda untuk menjadi jahat karena merasa kurang puas dengan apa yang dimiliki dalam dirinya. Orang jahat tidak pernah sadar akan status kejahatannya. Hanya setelah dihadapi dengan suatu pilihan mendesak yang menyangkut sesuatu yang sangat dicintai (misalnya, wanita, karir), baru mereka sadar dan akhirnya memilih untuk selanjutnya terus menjadi orang jahat atau tidak. Yang menarik di sini adalah sumber sifat baik/jahat manusia Indonesia vs. Amerika. Di Indonesia, sumber ini selalu berasal dari luar diri manusia, baik godaan untuk menjadi jahat atau dorongan untuk berubah menjadi orang baik. Di amerika, sumber selalu berasal dari dalam diri manusia sendiri, bukan dari luar. Alhasil, di Indonesia, perubahan penting dalam diri manusia hanya dapat terjadi jika lingkungan berubah hingga akhirnya manusia menurut dan mau berubah demi kebaikan, sementara di Amerika, perubahan penting hanya dapat terjadi jika diri tiap-tiap manusia mau memilih untuk merubah lingkungannya. Di Indonesia, manusia adalah konsumen perubahan, di Amerika, manusia adalah agen perubahan. Saya pikir paling sedikit harus ada posting setiap bulan, maka ini posting satu-satunya bulan April. Rencananya kita akan di Indonesia dari Mei sampai Juli. Tapi ini bukan liburan. Ini lebih seperti mengungsi. Alasan utamanya di Indonesia lebih banyak bala bantuan, terutama untuk menemani sang bocah 3 tahun. Sehingga Roby dan Tika bisa fokus kerja untuk disertasi. Untuk keperluan pengungsian ini, dua buah komputer portable baru didatangkan. Untuk Roby sebuah MacBook Pro 2.33 GB core duo, RAM 2 GB. Untuk Tika sebuah Thinkpad X60s, dan Tika sekarang sedang pusing meng-install Gentoo di Thinkpad miliknya. Pak Tino Sidin Berkata "Bagus"
Beberapa minggu yang lalu, ibu, ayah dan sepupu saya datang ke Amerika mengunjungi kami. Selain bingkisan makanan kering dan satu kantong beras merah, mereka datang membawa setumpuk vcd film-film Indonesia. Kami tontoni film-film ini tiap malam semenjak kedatangan mereka. Satu masalah film Indonesia menurut saya adalah efek dramatisasi yang berlebih. Saya rasakan ini paling banyak terjadi di film-film 'kelas atas' seperti karya Garin Nugroho dsb. Akibatnya film terasa sintetik dan 'dibuat-buat' atau tidak 'natural'. Film terlihat bagus hanya sebatas fungsi dekoratif demi menyesuaikan diri kepada suatu definisi paten 'film yang bagus'. Ya menurut saya memang ini masalah orang Indonesia. Bukti empiris yang bisa saya gunakan untuk mencapai kesimpulan ini hanya didasari atas pengalaman diri saya sendiri. Jaman dahulu kala, saya pernah bercita-cita menjadi seorang seniman. Tugas pertama saya di satu kelas melukis semasa kuliah adalah membuat karya bebas diatas kanvas dengan menggunakan cat minyak. Di kepala saya langsung melayang-layang impian saya mengenai nenek moyang dan negara Indonesia tercinta. Saat itu memang saya sedang kuliah di Amerika dan sudah sangat rindu dengan tanah air. Bukankah masuk akal bahwa perasaan paling mendalam dalam diri saya harus merujuk kepada segala sesuatu berbau Indonesia? Bukankah suatu karya seni 'baik' terdefinisikan sebagai suatu ungkapan kejujuran isi hati ini? Dengan semangat sang pelukis sejati, saya tumpahkan perasaan rindu ini ke atas kanvas. Rencana saya adalah untuk membuat suatu lukisan mosaic abstrak dengan menggunakan simbol-simbol ke-Indonesiaan seperti garuda, wayang, merah putih dsb. Lukisan sedang dalam proses penyelesaian, dosen lukis saya melihatnya dan langsung membahasnya di depan kelas. "Anak-anak, ini adalah contoh jenis lukisan yang tidak ingin anda buat. Lukisan 'bagus' secara teknis, tapi perhatikan bagaimana simbol-simbol ini disusun dengan sangat direncanakan hingga membuat lukisan tidak natural dan dibuat-buat. Ada baiknya pelukis ini menutup lukisan ini dengan cat putih dan mulai dari awal lagi." Ya, hancur sudah semangat membara saya. Saya pun mengikuti saran sang dosen untuk menutup lukisan saya dan saya hadapi kanvas putih saya itu dengan perasaan terpukul. Setelah itu saya sadar bahwa salah satu kesulitan yang saya hadapi dalam membuat suatu karya seni adalah untuk membebaskan diri dari apa yang seharusnya saya rasakan dan mulai merasakan apa saja tanpa adanya suatu keharusan. Kesulitan seorang Indonesia menurut saya adalah untuk merasakan kejujuran isi hati karena sebagai orang Indonesia, kami terdidik untuk menutupinya dan menggantikannya dengan suatu definisi umum mengenai apa yang seharusnya dirasakan. Tentu, saya tidak membandingkan diri saya dengan mereka yang sudah terdidik dan bergelut bertahun-tahun di bidang seni seperti Garin Nugroho dsb. Tapi saya bisa bayangkan betapa sulitnya seorang Indonesia membuat suatu karya seni jujur apa adanya sementara kultur Indonesia sudah memiliki hak paten isi hati seorang manusia Indonesia. Seperti kata Pak Tino Sidin setiap sore pada acara belajar menggambarnya di TVRI , "bagus.. bagus ... ". Ya, akhirnya saya bisa mengerti mengapa banyak orang merasa terganggu dengan gaya selebritis Indonesia yang suka memakai bahasa inggris campur aduk dengan bahasa gaul Jakarta. Karena terlalu banyak pekerjaan hingga saya akhirnya tidak bekerja dan malah mem-browse YouTube, saya menemukan posting film pendek bintang Lux Mariana Renata berjudul "Match Maker" dan "Match Maker II". Saya harus menggunakan YouTube karena semenjak 7 tahun yang lalu, saya sudah tidak tinggal di Indonesia lagi. Konon, berdasarkan film seri DTK, yang saya pernah tontoni sedikit ketika berkunjung ke Indonesia tahun lalu, Mariana Renata ini tergolong selebritis langka yang memiliki tingkat kecerdasan tinggi (Saya akui, film DTK juga sedikit tapi lebih banyak lagi mengganggu saya). Tapi kenapa ya saya merasa sangat terganggu dengan film Lux ini apalagi dengan sdr Mariana Renata ini? Dia cantik, saya tidak masalah, bahkan jika mampu saya ingin sekali berparas jelita sepertinya. Tapi kenapa ketika sdr. Mariana mulai berbicara campur aduk saya jadi kesal rasanya? Apalagi dengan menggunakan intonasi "was wes wos" nan-canggihnya-itu? 1. Mariana menolak kantong plastik yang diawarkan pelayan toko atas alasan "save the planet" dan setelah itu pergi tersenyum dan menjadi sangat perhatian saat melewati seorang anak kecil. 2. Mariana masuk ke toko dan yang di shoot adalah sendal dan baju ala "hippie" super trendi. 3. Buku yang dipesan Mariana bertema sosiologi pop itu seharga Rp 120,000. 4. Buku itu ternyata karangan Jurnalis Malcolm Gladwell yang konon pernah mencuri ide Peneliti dan Prof. Sosiologi pembimbing riset suami saya (*perhatikan poin ini mungkin agak berlebih personal). 5. Mariana menggunakan laptop Mac. 6. Ternyata diakhir film, cowo ganteng, pintar dan pemilik toko buku import itu gay. Jangan banyak salahkan sdr. Mariana, salahkan penulis script film ini. Ah, saya memang kurang kerjaan saja. Biarkan mereka nikmati laptop Mac mereka dan buku-buku ratusan ribu rupiah mereka sembari menikmati latte di cafe chic Jakarta dan berbicara campur aduk melalui hp trendi mereka, toh saya sendiri melakukannya! Kecuali memiliki teman gay, yang sepertinya untuk Jakarta saat ini menjadi suatu atribut cukup chic, juga paras yang nan cantiknya sdr Mariana, semua indentitas yang dipaparkan dalam karakter Mariana saya suka lakukan lepas sadar saya, ya termasuk kadang menggunakan baju gaya hippie dan bicara campur aduk bahkan menggunakan laptop Mac -- walau dalam hal berbicara, saya rasa saya sudah cukup menahan diri untuk tidak melakukannya dengan cara berpikir sebelum berbahasa karena saya tahu saya bukan pembicara bahasa apapun yang baik. Saya terganggu karena ternyata bagian dari individualitas diri saya ini dijadikan gaya pasang tempel manusia Jakarta. Di Jakarta, setidaknya warga kosmopolitan Jakarta, manusia bukanlah Individu, tapi suatu entitas pasang tempel yang berubah tergantung musim. Jika kita menghampiri berbagai mal di Jakarta di suatu musim dimana gaya trendi wanita masa itu adalah untuk berbusana dengan menggunakan tas berbulu, pastinya hampir semua wanita di mal Jakarta akan bepergian dengan tas berbulu ini (note referensi gaya hidup Jakarta ini yang tergolong cukup kuno). Memang hidup di dunia kosmopolitan Jakarta itu membuat hidup orang menjadi serba salah. Orang-orang Amerika memang manusia super. Mereka dapat menjadi manusia super bukan karena mereka diturunkan untuk menjadi orang-orang super, tapi karena kondisi hidup mereka membuat mereka 'terpaksa' untuk menjadi super. Individualitas versi Amerika terdefinisikan atas suatu kemampuan tiap manusia untuk dapat berdiri sendiri. Di gedung apartemen saya banyak orang-orang tua jompo yang hidup sendirian. Melihat ini orang Indonesia mungkin akan bertanya, "Apakah mereka tidak punya anak atau apakah memang anak-anak mereka tidak peduli lagi? Ya, kebanyakan orang-orang jompo ini mungkin punya anak yang mungkin ingin sekali membantu mereka. Tapi sebagian besar orang jompo di Amerika memang memilih untuk hidup sendiri karena mereka ingin tetap dihargai sebagai seorang manusia yang dapat berdiri sendiri. Untuk menghargai kemauan mereka ini, banyak fasilitas tersedia yang dibuat khusus untuk mendukung para jompo agar dapat hidup sendiri di rumah mereka sendiri, sebisa mungkin hingga akhir hayatnya. Kehidupan para jompo adalah ilustrasi drastis mengenai tabiat kesuperan para warga yang hidup di Amerika. Saat ini saya sedang mengalami dorongan lingkungan yang mengharuskan saya untuk menjadi manusia super. Terus terang, saya menjadi serba kesulitan karena dengan didikan saya sebagai orang kelas menengah di Indonesia, saya menjadi sangat tidak 'biasa'. Kebanyakan warga Amerika tidak mampu untuk menyewa seorang mba atau mbo untuk mengurus anak mereka yang masih belum beranjak umur untuk memasuki taman kanak-kanak. Usia balita hingga sebelum taman kanak-kanak memang masa yang paling sulit bagi orang tua yang status perekonomiannya sangat marginal. Sekolah taman kanak-kanak hingga SMU bebas biaya dan anak hampir bisa penuh hari diam di sekolah sementara ibu ayah bekerja. Sebelum masa ini, orang tua seperti ini akan dihadapi berbagai kesulitan. Jika mereka beruntung, bisa saja mereka menitipkan anak mereka di suatu tempat penitipan dengan biaya tidak terlalu mahal walau kualitas mungkin tidak menjanjikan. Kebanyakan warga Amerika harus melalukan ini karena mereka tidak punya pilihan lain. Kedua orang tua harus bekerja untuk dapat mehidupkan keluarga. Sementara filosofi individualitas ala Amerika mengharuskan mereka untuk sebisa mungkin tidak meminta bantuan sanak saudara untuk mengatasi kesulitan mereka ini. Anehnya, warga Amerika bisa tetap selamat menghadapi masa kritis ini atas upaya kedua tangan mereka sendiri. Tentu kesuksesan ini tidak dapat terjadi tanpa adanya dukungan lingkungan yang menjunjung tinggi nilai individualitas ala Amerika. Sebagai contoh, fasilitas untuk mempermudah dan mempercepat usaha seorang ibu bersama dengan bapa dan anak-anaknya membersihkan lantai, menyuci baju, memasak dsb. beraneka ragamnya, walau tetap memberi kesan bahwa pekerjaan adalah buah hasil usaha kedua tangan mereka sendiri. Ya saya sangat kagum dengan orang-orang Amerika seperti ini. Terus terang saya sendiri merasa tidak mampu dan harus menelepon ibu saya di Indonesia untuk mengirimkan seorang mba untuk membantu mengurus anak saya. Setelah mba pergi, saya tidak tahan sekali lagi untuk menelepon ibu agar bisa datang mengurus anak saya sementara saya dan suami membanting tulang meniti karir demi masa depan kehidupan keluarga. Ternyata, karena hal-hal diluar kendali, ibu saya tidak juga mampu memberi bantuan seperti yang saya harapkan, dan saat ini saya harus menerima untuk terus bertahan hidup layaknya manusia super di Amerika. Semoga saya bisa tertularkan tabiat individualitas ala Amerika hingga saya dapat melewati masa-masa kritis ini. Saya baru sadar, bentuk doa orang Amerika ketika dihadapi suatu masalah bukanlah suatu permintaan ketabahan dari Illahi karena doa seperti ini tidaklah cukup. Doa orang Amerika adalah untuk dapat terus berusaha menggunakan kedua tangan mereka sendiri agar dapat dihargai hidup layaknya seorang manusia. Untuk melanjutkan studi S3 kita tidak perlu mencari beasiswa tambahan. Cukup tujukan aplikasi sekolah ke program di universitas yang kita inginkan. Jika diterima masuk, universitas dan departemen yang bersangkutan akan menanggung biaya sekolah (tuition) juga tambahan untuk hidup sehari-hari (stipend). Tergantung program yang kita masuki, kadang untuk mendapatkan jaminan ini, kita diharuskan untuk mengajar. Program yang berada dibawah naungan sekolah kedokteran biasanya tidak mengharuskan mahasiwa S3-nya mengajar untuk mendapatkan jaminan ini. Mendapatkan beasiswa untuk program S2 cukup sulit. Sangat sedikit sekolah yang bersedia menanggung mahasiswa S2 dalam studinya, walau dapat dicari. Karenanya, biaya studi S2 memerlukan beasiswa dari luar sekolah seperti beasiswa Fulbright. Biasanya, gelar S2 (master) bisa didapatkan di pertengahan studi S3. Untuk mempermudah mendapatkan jaminan sekolah S2, kita dapat masuk program S3 dengan harapan berhenti saat gelar S2 diberikan. Keuntungannya, kita dapat melanjutkan studi ke jenjang S3 di sekolah yang sama tanpa harus proses aplikasi apa-apa jika berminat. i. Departemen telah berharap bahwa kita akan melanjutkan studi ke jenjang doktor S3 sebagai kondisi jaminan sekolah. ii. Jika ternyata kita ingin pindah ke sekolah lain untuk melakuan studi S3 kita. Ketentuan khusus untuk mengajukan aplikasi sekolah S2 dan S3 dapat diperolah melalui situs departmen dan universitas yang kita minati. Baik program jenjang S2 maupn S3 mengharuskan kita untuk menjalani test GRE General. Sementara test GRE Subject biasanya diharuskan untuk program S3 saja. Test GRE general menguji kemampuan bahasa Ingris, matematika dan analitis. Subject test GRE menguji kemampuan pengetahuan bidang yang kita minati. Untuk biologi biasanya kita dapat memilih antara test GRE Subject "biologi" atau "biokimia, sel dan biologi molekuler". Untuk bidang biologi interdisipliner (ie. biokimia, biofisika dsb. ), test GRE Subject lain yang berhubungan juga dapat menjadi pilihan. Di Amerika, sistem penerimaan mahasiswa S2 dan S3 tidak dilakukan oleh profesor melainkan oleh departemen. Jadi jika anda kontak seorang profesor dan ia sepertinya tertarik untuk menerima anda, ini tidak menjamin anda akan lolos masuk program karena wewenang penerimaan mahasiwa baru tertetak pada suatu "komite penerimaan" dalam departemen. Melakukan kontak dengan profersor yang kita minati tentu sangat membantu. Karena sistem penerimaan lewat departemen, penerimaan masuk program memiliki jadwal ketat. Biasanya, anda harus memasukkan aplikasi pada bulan desember sebelum program dimulai pada bulan september tahun berikutnya . Tahun ajaran sekolah di Amerika terbagi atas dua semester: "Fall Semester" (September-Desember) dan "Spring Semester" (Januari-Mei). Baik untuk program studi S2 maupun S3, dalam pengisian aplikasi anda diharuskan untuk memaparkan tujuan anda melanjutkan studi dalam sebuah esai. Terutama untuk studi S3, anda diharuskan untuk menjelaskan jenis riset yang anda minati. Ini berguna bagi komite penerimaan untuk melihat apakah anda akan cocok dengan fasilitas riset yang disediakan oleh departemen melalui kegiatan penelitain para prof di departemen. Selain prestasi akademis, pengalaman riset sangatlah penting. Rekomendasi dari tiga pembimbing/dosen yang dapat menilai calon mahasiswa baik di bidang akademis maupun riset diperlukan untuk mengajukan aplikasi untuk program S2 maupun S3. Salah satu proses penerimaan unik S3 bidang biologi adalah proses interview. Alasan interview dilakukan adalah karena kegiatan riset biologi memerlukan kita untuk bekerja sama dengan banyak orang di suatu lab. Guna interview adalah untuk melihat apakah calon mahasiswa dapat berinteraksi dengan baik di lab riset yang diminati selain melihat kualitas minat dan kemampuan calon terhadap kegiatan riset yang dilakukan para prof di departemen yang bersangkutan. Panggilan interview terjadi setelah aplikasi anda masuk dan lolos penyeleksian pre-interview. Kadang anda akan ditanggung biaya datang ke departmen untuk melakukan interview, atau interview bisa dilakukan per telefon. Interview dilakukan oleh beberapa professor di departemen secara bergilir dan merupakan proses penyeleksian akhir. Tidak semua sekolah melakukan proses interview ini. Info lanjutan mengenai pendidikan S2 dan S3 secara umum di Amerika bisa didapatkan di situs www.gradschools.com. Info ranking Universitas yang menawarkan program S2 dan S3 di Amerika bisa didapatkan di situs www.usnews.com. Biasanya mahasiswa tidak menyukai sebuah mata kuliah dimana dosennya jarang datang. Tapi ada satu maka kuliah di ITB dahulu yang saya sukai meskipun kita hanya bertemu beberapa kali selama satu semester. Mata kualiahnya adalah kosmologi yang di ajarkan Dr. Jorga Ibrahim. Kuliahnya tetap menarik, karena Pak Jorga memberikan banyak bahan dan karena tidak ada kelas, kita bebas mempelajari aspek kosmologi yang menarik untuk kita. Masa itu saya cenderung matematis sehingga lebih tertarik mempelajari berbagai metrik yang menjelaskan alam semesta, misalnya Robertson-Walker metric yang mendasari teori big-bang. Saya kurang menaruh perhatian pada aspek kosmologi yang melibatkan pengukuran langsung. Tapi dari situ saya tahu interaksi teori dan eksperimen dalam usaha manusia memahami alam. Sains bagi saya adalah teori elegan seperti teori relativitas umum atau teori medan kuantum yang diverifikasi secara empiris dengan presisi tinggi. Bias saya memang ke teori. Ketika saya masih mahasiswa di Bandung, suatu malam saya tidak bisa tidur karena begitu kagum akan keindahan persamaan Dirac dan saya akhirnya menulis surat (belum ada email di Bandung saat itu) ke teman saya di Jepang dan bercerita tentang persamaan Dirac. Dia adalah teman saya semasa SMA yang saya anggap saat itu sebagai salah satu teman yang bisa menghargai fisika. Bertahun-tahun kemudian dia bercerita bahwa dia kaget menerima surat saya dan dia pikir saya sudah gila. Tapi saya juga bisa menikmati keindahan eksperimen. Saya merinding ketika membayangkan Penzias dan Wilson menunjukkan penemuan radiasi latar-belakang kosmik yang begitu tepat mengikuti kurva teoritis dalam sebuah pertemuan ilmiah. Karena itu saya sulit tertarik akan teori sains yang hanya berdasar pada hubungan statistik tanpa teori yang menjelaskan mekanismenya. Contoh yang populer misalnya penjelasan ala Freakonomics. Meskipun buku itu ditulis dengan sangat bagus dan menarik tapi saya jengah terhadap argumennya yang menurut saya dangkal. Argumen bahwa semua bisa dijelaskan dengan insentif adalah naif: insentif uang, misalnya, memiliki efek beda tergantung pada gaji orang tersebut; untuk mengetahui insentif yang tepat perlu terlebih dahulu diketahui struktur relasi individu: saya harus memberi insentif berbeda untuk istri, orang tua, kakak, anak, teman atau orang lain. Ini bukan berarti saya skeptis terhadap pemodelan statistik, saya justru menggunakannya juga. Saya hanya merasa bahwa pemodelan statistik belum lengkap. Karena saya sekarang adalah ilmuwan sosial. Saya merasa bukan lagi saatnya mencari sebuah teori besar seperti teori kuantum, relativitas atau evolusi. Saya percaya ilmu sosial analitik dibangun dengan fokus pada mekanisme. Tapi mekanisme tanpa teori juga menyulitkan. Contohnya adalah sains jaringan yang belum bisa diaplikasikan secara utuh karena belum ada teori jaringan. Dan tentu semuanya harus digandengkan dengan data melalui pemodelan statistik. Jadi sains ideal itu yang mana? Apakah sains itu teori elegan ala teori relativitas? Apakah sains adalah hubungan statistik dari data? ataukah sains adalah kumpulan mekanisme seperti teori kompleksitas, fisika zat padat, atau teori jaringan? Tentu ketiganya saling berhubungan dan penting. Tapi yang saya ingin tahu adalah pendekatan mana yang membawa kita paling dekat ke realitas fundamental? Otak-otak ditulis sepasang suami istri Indonesia yang tinggal di Manhattan, New York. Roby berlatar belakang fisika teori dan saat ini sedang menyelesaikan studi doktor sosiologi. Tika berlatar belakang Biologi dan saat ini sedang membagi waktu antara mengurus anak, menyelesaikan risetnya bidang evolusi molekuler dan menulis. Kami cinta Indonesia.